The sun has finally got his hat on! Hip hip hip hooray! Well, actually, he had it on over the weekend, but seems to have taken it part of the way off again today. The joys of living in Britain. 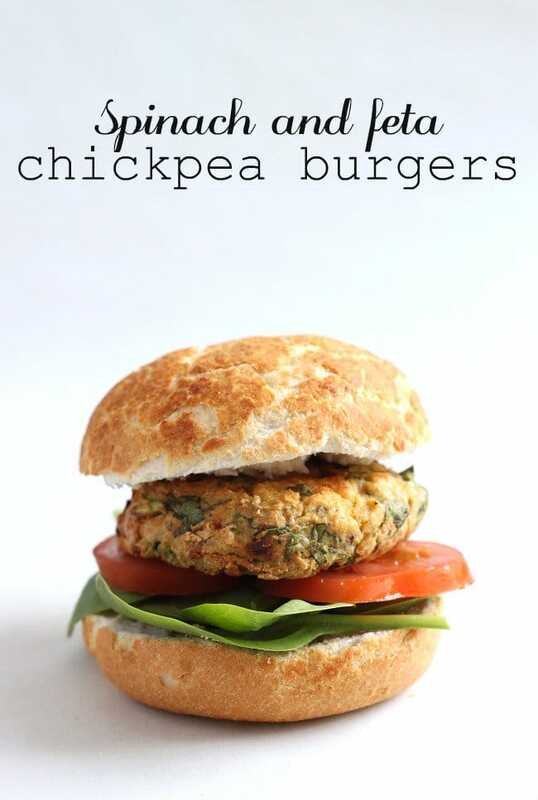 Anyway, as soon as the sun shines, my thoughts turn to summer foods – picnics, salads, BBQs… and although I didn’t actually cook these chickpea burgers on a BBQ, a big fat burger stuffed with salad and drenched in ketchup and mayonnaise is definitely enough to make me feel summery. 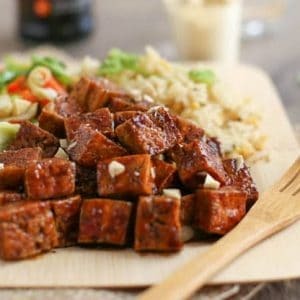 If you do want to use your BBQ, I’d recommend cooking them in the oven beforehand to let them firm up, and then reheating them later on the grill – you’ll still get that charred BBQ flavour, even if they’ve been pre-cooked. 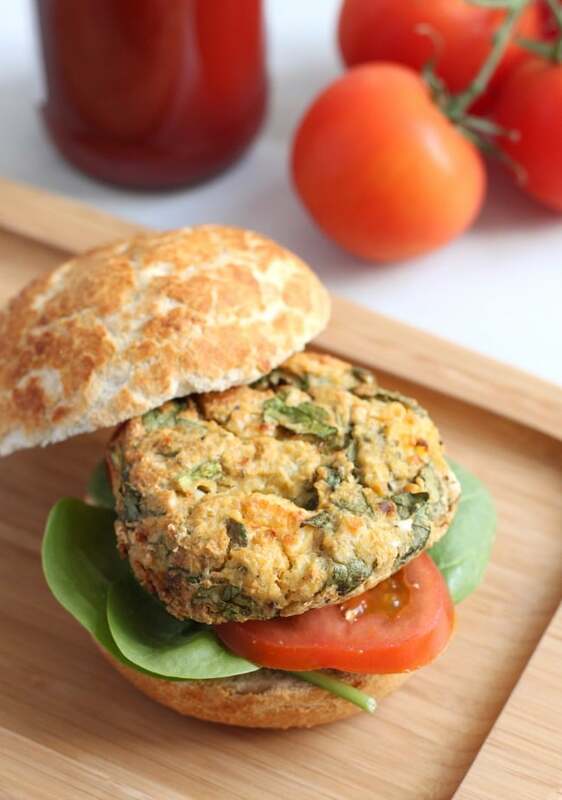 I used my favourite egg-and-baking method (ha, it’s funny because it sounds like egg-and-bacon) for these chickpea burgers to help them stick together – add an egg to the veggie burger mixture and then bake them, and they hold together and firm up beautifully. 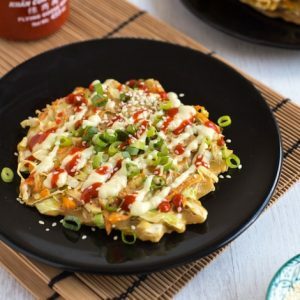 I did try frying one too, but they were much better done in the oven – which is good, because it’s the healthier way of cooking them. 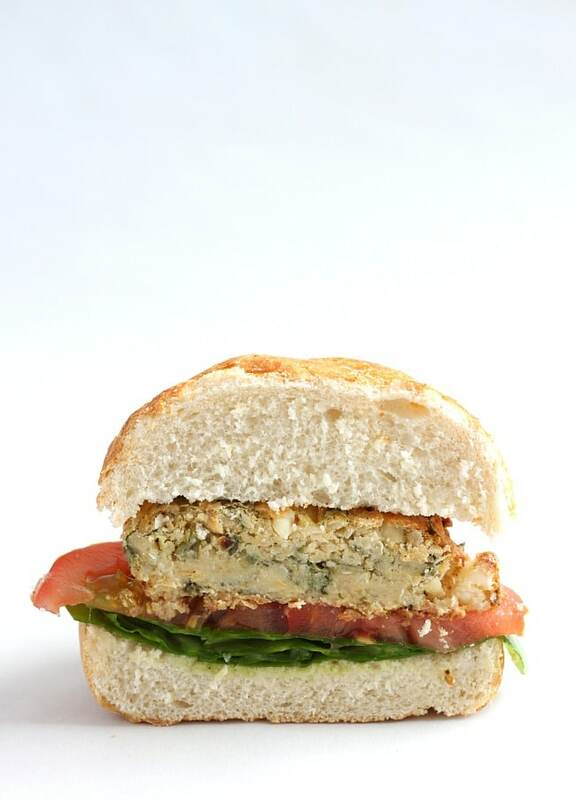 I often find chickpea burgers a bit dry (I’m looking at you, falafel), but the egg in these also serves to keep them nice and moist. The feta helps a lot too – there’s nothing better than biting into a juicy, salty chunk of feta cheese in the middle of your burger. 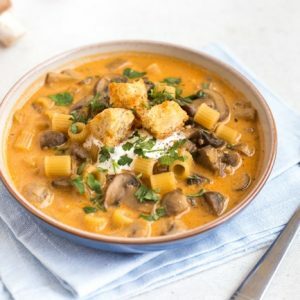 When you’re making these, make sure you don’t cut your feta into pieces that are too tiny – its flavour becomes a lot milder as it cooks, so you need nice big chunks to get the flavour you want. 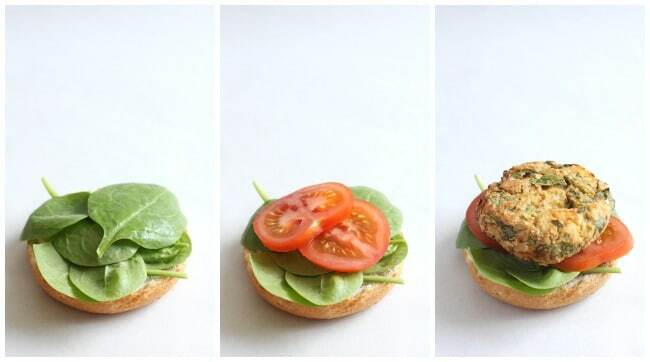 I stuffed my burger bun with more spinach (because why the heck not), some fresh tomato and a good smear of mayonnaise, and it went down a treat. 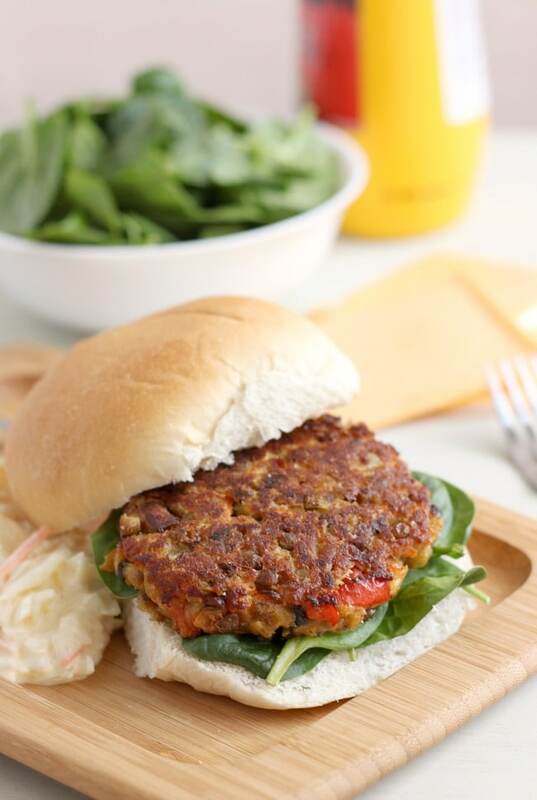 I used a nice crusty roll too, because I personally find them much tastier than a soft burger bun – but use whatever bread and burger toppings you fancy! Add the chickpeas and the egg to a food processor, and process for 30 seconds or so until a thick paste is formed. Transfer this mixture to a large bowl, and add the feta, spinach, parsley and spring onions. Season with plenty of black pepper and a touch of salt (remember that the feta is salty too), and mix well. Shape the mixture into a few burger shapes (I made 5, but you could easily make 4 or 6 if you prefer), and place them on a baking tray covered with baking paper. Place in the oven for around 40 minutes, until firm and golden brown. 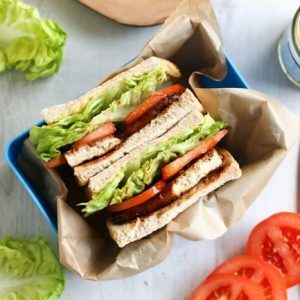 Like vegetarian burger recipes? 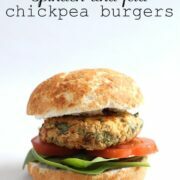 Try my cheesy lentil burgers too! Nice enough, but I think the addition of toasted pine nuts and nutmeg would take them to another level. I made these tonight. When I served them I used a homemade tzatziki instead of the mayo. Delicious!!! Will definitely make again. Thank your for sharing the recipe. Mine tasted great but fell apart right away! Any suggestions? Hi Dena, so sorry about that! Mine held together pretty well, so I’m not sure what happened with yours. Perhaps try adding an extra egg to help bind them a bit more? You do need to be a bit gentle with them but they shouldn’t fall apart straight away! 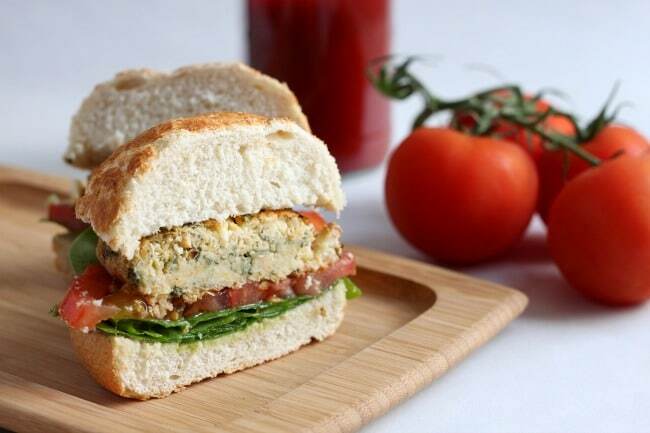 Finally a chickpea burger recipe without breadcrumbs!! Looks amazing, will definitely be making. Are they suitable for freezing do you think? Thanks Anna! I’ve not tried freezing these so I can’t say for sure, but personally I think it’s always worth a try! These burgs look AMAZING!! I love the spinach and feta. They look so simple and satisfying. 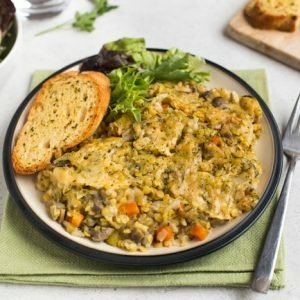 And your cheesy lentil burgers? Yes, please!! Haha well we had a massive thunderstorm last night so I think I spoke too soon! Stop it! These look absolutely amazing! The only thing that I couldn’t put in them is the feta, vegan here, but I bet I could swap it out for the cashew cheese I make. This sounds delicious! 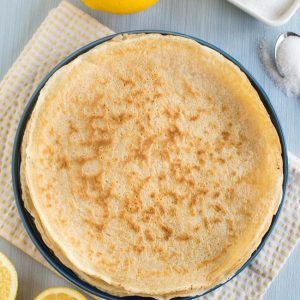 What would you recommend as an egg substitute? Would Organ no egg be OK? Hi Harsha, I eat eggs so I have no idea about a substitute. But I always think it’s worth giving things a go once so just use your favourite substitute and see how it goes! 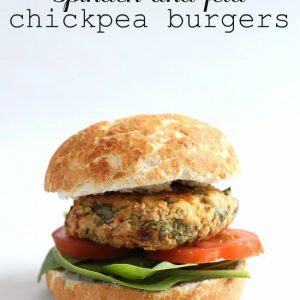 These sound delicious – I love the idea of getting little bites of feta inside the burger itself. Yum! Bookmarking. This will be made. Soon. As soon as I make your garlic butter sauté corn for the nth time (so delicious!) and have some feta left over for these babies. Can’t wait. This sounds like a fabulous combination of flavors! These burgers look simply wonderful, and so simple to make, which I appreciate! I have all of the ingredients on hand, so I will have to make these this week. Thank you! Oh, I am in love with these burgers already! Feta cheese and chickpeas go so well together, don’t they? And yes, crusty rolls always win over soft hamburger buns! 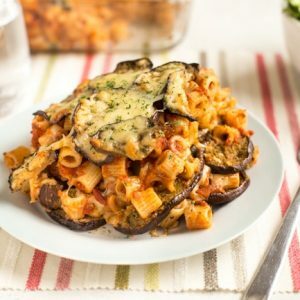 Oh boy, these look fab! Much preferred over rubbish beef burgers. Blergh. Oohh, these look so nice! It’s a shame my husband hates feta and is allergic to chickpeas! Will have to get some veggie friends round for a bbq.